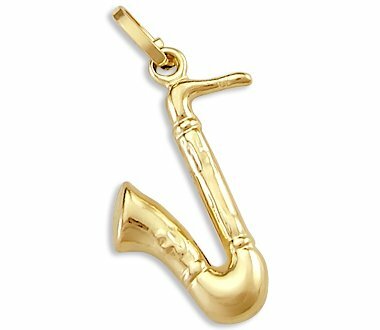 Brand new 14k yellow gold saxaphone band instrument charm pendant. This elegant item is pure 14k gold, not plated, authenticated with a 14k stamp. The bail is extremely durable. The high quality pendant is absolutely stunning and we are confident that you will love it.